If you’ve recently started reading about personal finance online, you’ve likely also discovered the acronym FIRE, which roughly stands for “Financial Independence, Retire Early.” In today’s guest post, Mr. Five Senses of Five Sense of Living discusses how pursuing early retirement has similarities to “keeping up with the Joneses” and why making early retirement your #1 goal isn’t guaranteed to increase your happiness. Remember those career counselors in high school? They would have you answer a bunch of personality-related questions and out comes a list of possible career choices. They were based on a series of seemingly random questions that helped to narrow down that perfect career. I took a few of those tests recently just for the fun of it. I got everything from an electrician to a physician. While the results aren’t perfect, I do agree with the premise. The premise I’m talking about is aligning your career with your values and life goals. It sounds easy but it’s not. In fact, your life goals and values will likely change as you go through life. As you learn new things, gain new experiences, and start a family, these all have an impact on what’s most important to you. For many, this can be a moving target and will need a periodic review to assure you are aligning with your life goals. For a lot of us, we have stopped evaluating our life goals and asking questions. Instead, we put more emphasis on the prestige and salary when picking a career. We pick our job based on the false sense of need that our society is so good at promoting. The need for the big house, fancy car, and of course the false happiness that will come from these purchases. It’s time we take a look at what makes us tick. We can all take steps to enhance our time on earth doing the things we love while eliminating the things we don’t. Mad Fientist describes a book he read called “Antifragile” by Nassim Nicholas Taleb. The book describes the pathway to happiness is achieved through “subtraction,” by eliminating the things that do not bring us happiness instead of continuously searching for the things that do. It can be difficult to know or even imagine what will make us truly happy. Figuring out and eliminating the things that we know do not make us happy is a much easier quest. In my article The Best Job in the World and Why I Quit I talked about some of the things that I missed from my earlier years. While I didn’t dislike my job, I did dislike what I call the side effects of my job. I missed the freedom and spontaneity I had before the career life. I had goals of living in other countries and learning other languages, not in a classroom but by total immersion in that country. As I became older and the years started ticking by I realized I couldn’t ignore these feelings anymore. I needed to re-align my career with my life goals. Those simple observations in what made me tick are what drove me towards FI (Financial Independence). It wasn’t that I hated my job, it wasn’t that I didn’t want to work. It was a generalized lack of freedom and flexibility. For me, FI aligned well with how I wanted my life to look. I realized that no matter how good a job is if it doesn’t align with your life goals then it’s wrong. When I talk with people about FIRE, it’s clear that this phenomenon of FIRE is turning into just another shiny new toy. Another way to compete with the Joneses. 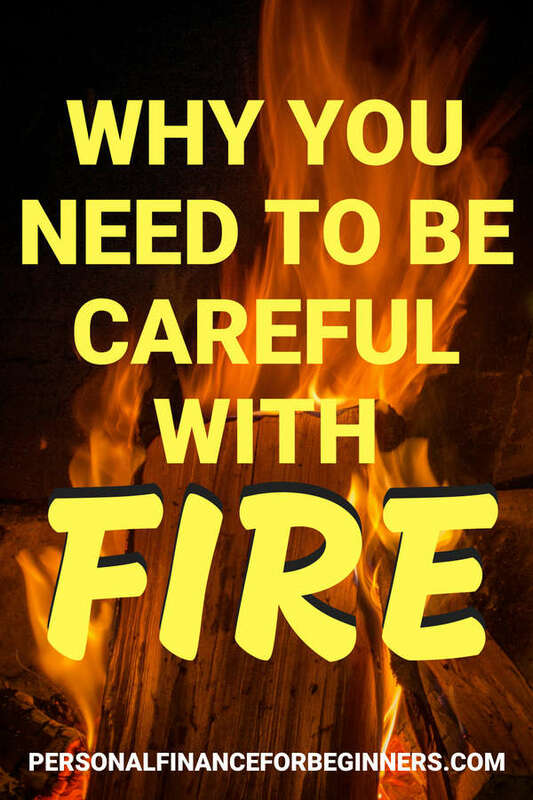 We need to be careful with FIRE and not go all in thinking it’s the fix to everything. FIRE may not be that ticket to happiness that we are all looking for. Just like our jobs, if FIRE doesn’t align with your life goals, then it’s wrong. I talk with people all the time who are truly happy with their careers and honestly have no interest in FIRE. It’s clear that what makes them tick is well aligned with their work. 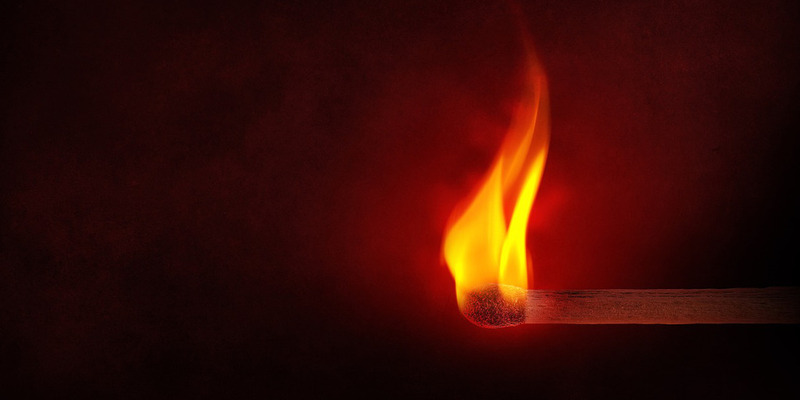 Just as personal finance is PERSONAL… so is FIRE. Smart Money Manners talks about how people “mistakenly believe that achieving financial independence (FI) will suddenly lead to a happiness that’s beyond their reach. But really, it’s just a means to an end.” She goes on to say, “The two are related but discrete. FI can contribute to – but not necessarily promise – happiness, which is an important distinction.” Mad Fientist talks about how his journey to FIRE became a negative experience and required a bit of a reset. I’ll say it again, FIRE is not the magic ticket to happiness. Think of it as a tool rather than a solution, to allow for a shift in priorities that align better with your personal goals. I see too often, people that are downright miserable and literally giving up all the things they love in pursuit of this magical FIRE. Be very careful with that. It’s crucial to identify the things that make you happy and the things that don’t. Knowing those allows you to make small steps towards FIRE. Even the act of identifying these things will help your mindset. The journey to FIRE, if it’s right for you, it’s not just a financial journey. We only get one shot at this life and it’s important that if FIRE is right for you to go about it in a way that doesn’t bring misery. Remember it’s a process and a tool, it’s not some magical FIRE Unicorn that will make everything better. A tool is worthless without a plan and FIRE is no different. Step away from the pressures of society and what we are told success looks like. Instead, think about these questions below and be honest with yourself. What things were you passionate about when you were younger? Are there hobbies you want to do but don’t have time for? If you could work for free, what would it be? If FIRE does align with your life goals, then you likely have a lot of work to do. FIRE is not easy and takes a serious commitment. Pick some of the changes you want to see and start implementing them today. It doesn’t have to be anything big, start with something small. Getting the process started early is important and will motivate and provide guidance through the challenges of achieving FIRE. When we talk about what successful FIRE looks like we typically just talk numbers. How much money I have and how old I’ll be on this magical day. That’s very short-sighted. FIRE is really about being happy. If we aren’t happy with FIRE then FIRE is nothing more than that shiny new car that may bring a brief glimpse of false happiness that peaters away. FIRE is just a tool to allow for the expression of things that will bring joy to your life. The most important part of FIRE is identifying those things and making an effort to implement them starting today. When I talk to people about frugality, I tell them it’s not about giving things up but rather focusing on the things that truly bring value to your life. Would you rather have 10 acquaintances or 3 really good friends? Our culture does an amazing job of fooling us into thinking we need more. Essentially watering down the things that actually bring us joy. This same occurrence happens with our careers and the inevitable rat race that we too often fall into. Frugality in FIRE is not only important in terms of finances but also reminds us to focus on the important things and ignore the noise of the Joneses. I like to think of a poor fitting job as debt. As we are fooled into thinking we need to keep up with the Joneses we further cement ourselves into our career of debt. Thinking that more is better instead of right is better. By right I’m referring to the actual things that align with your life goals and not what society and the neighbors say you need. It’s a vicious cycle of wanting more to be happy which then puts you deeper in debt to the job that isn’t right for you. If you can free yourself from this cycle of more is better you will open up opportunities to get out of that job that isn’t right for you. Don’t lose sight of what makes you tick. It’s time to take an honest look at what you enjoy and what you don’t enjoy. Finances are only a small part of being successful at FIRE. Focus on what makes you happy first and if that aligns with FIRE then great. But don’t rely on FIRE to bring you happiness because it won’t. This resonated with me. Happiness should be the ultimate objective, everything else is a means to an end. It is easy to get ourselves in this loop of only worrying about FIRE but we need to take a breath and think independently. I know what works for others will probably not work 100% for me. Like the typical story of the person that finally retires and moves to Thailand only to find out that hates it there. Thanks so much for the opportunity to write this post for you. The more I reflect back on writing this the more driven I am to simplify and focus on what brings me happiness.